I think I've become desensitized to bugs after having been here for six weeks. At home in Canada, I don't think I would ever accept a meal that has a few bugs cooked into the rice, crawling around the sugar bowl, or floating around in the soup. But here, I've been very comfortable just scooping them out at each encounter and continuing with my meal. It's quite gross thinking about it now, but here little things like that don't matter. That's probably one of my biggest learnings from the entire trip: learning to let the little things go. It's a learning such as that which makes one a happier, more easy going person, and truly allows one to enjoy life more! In addition to the bugs in my food, I've also learnt to ignore the creepy crawlies around the house. The first time we saw a cockroach in our home in Kigali, I jumped up from my seat, so scared of the giant thing! I kept my eyes on the creature and could not get any work done until Chris chased it around and squished it. But now when I see them darting around on the floor, I am quite okay staying where I am and simply raising my feet when I hear it crawling towards me. Overall, I'm very happy with this learning of "letting the little things go," and hope I can continue to apply it in life upon my return home. On Monday, I enjoyed breakfast on the rooftop terrace once again, and then rushed to check out from my room. Joy, the lady at the front desk was kind to book us a taxi to the beach hotel for the afternoon, and let us keep our bags in the hotel while we finished our sight-seeing in Stone Town. Jamie wanted to do some more shopping, and I really wanted to go see the Jamat Khane, so we decided to split up and meet back at the hotel in time for our taxi. My first stop was the Stone Town Cultural Centre, another building that has been wonderfully restored by the Aga Khan Trust for Culture (AKTC). The AKTC really has done a lot of work in Zanzibar, and I was taken aback by the before and after photos of the building and waterfront. 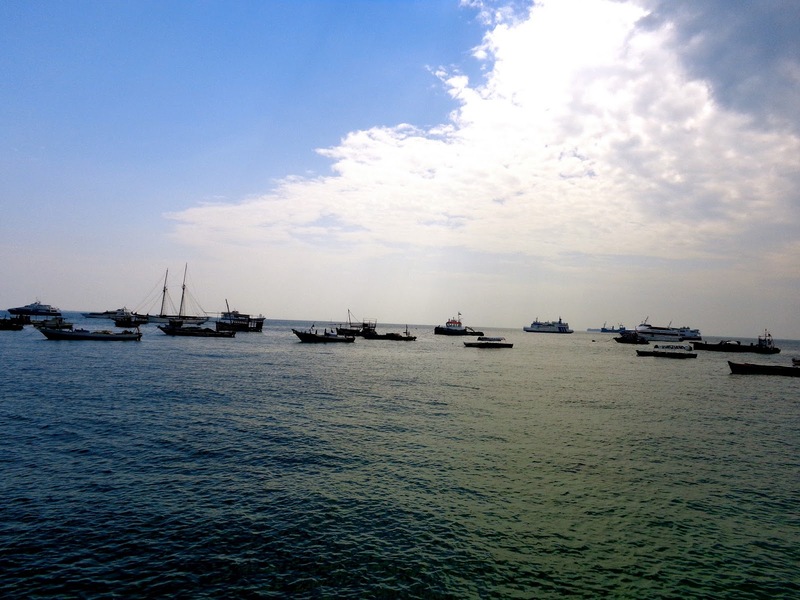 I now understand why the people of Zanzibar are so appreciative of His Highness the Aga Khan, as he really has invested a lot of time, energy, and resources into the preservation of this historic town, and for the benefit of the people of the island. I then wandered into the alleyways in search of the Jamat Khane. Everyone knows the building and was very nice, so it was easy to ask for directions, but I was wonderfully lost in the winding alleys. 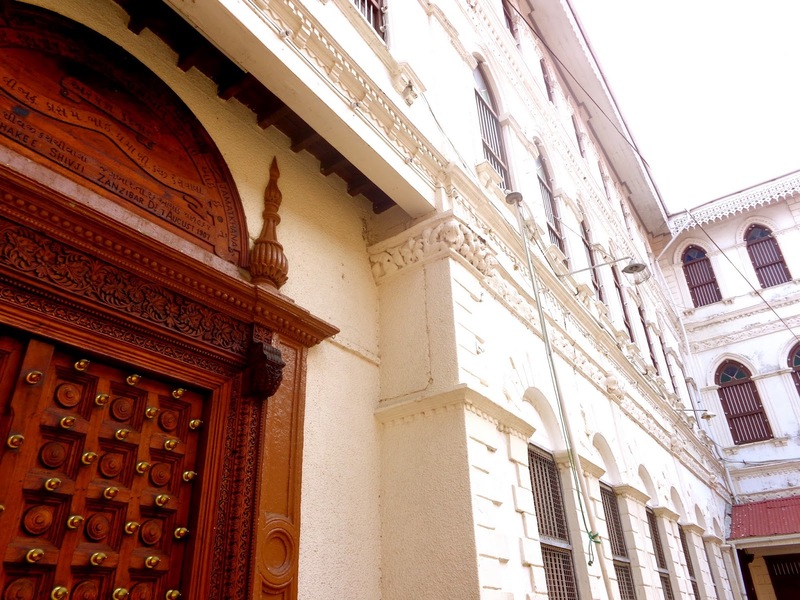 It was so pleasant turning this corner and that, and discovering marvellous doors each depicting a different era in the historical rule of settlers in Zanzibar. Once I reached the Jamat Khane with a huge smile on my face, I was painfully reminded that it was mid-day and the chances were quite slim that anyone would be there to open the door. I rang the bell of the Jamat Bhai's (caretaker) door, but it was locked from the outside, so I figured he must be out. I still had a few hours before I was to meet Jamie, so I was about to sit down and leave another note here, just as I had done in Masaka, when I heard another door open a few feet away. It was an assistant to the Jamat Bhai, and he let me in. He also told me to wait in the foyer, as the Jamat Bhai was actually in, just three stories up attending to some errands! I excitedly sat down, and took in my surroundings. This Jamat Khane is the oldest in all of Africa, as it was the first built when many Indian Ismailis moved to Africa so many generations ago. 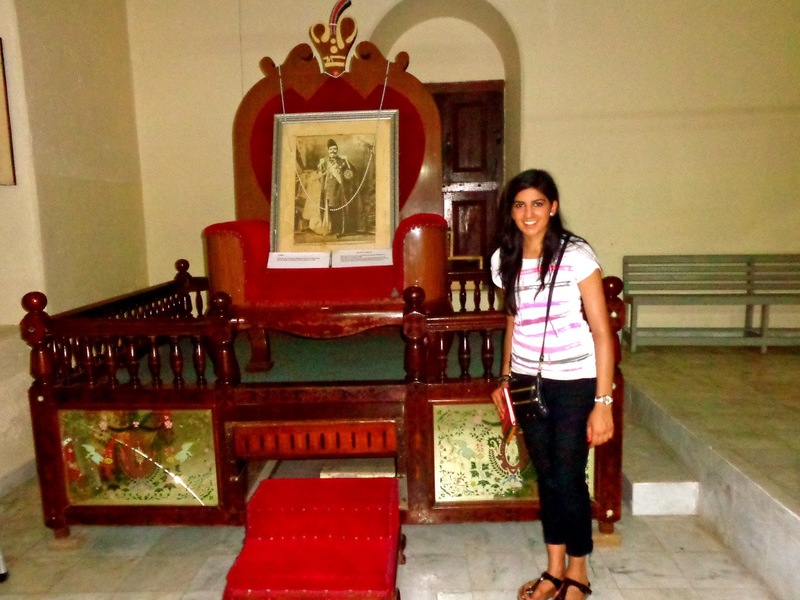 Zanzibar was the port of entry, and the khane was built in 1836! One wall was covered with the names of the Mukhisahebs and Kamadiasahebs (leaders of the congregation) from 1836 to the present day, and it was pretty neat to think about our forefathers attending prayers here over 175 years ago! The Jamat Bhai was incredibly nice, as they all have been, and he took me on a tour around the entire place, sharing details of the architecture, the additions to the building, the history of our Jamat here, historical thrones that have been used by His Highness the Aga Khan's predecessors, and information on the surrounding area. The interior was very ornate, with magnificent woodwork around the perimeter of the prayer hall, gorgeous stained glass on the windows, and brilliant chandeliers making the place sparkle. This is another congregation who is extremely fortunate to have such a beautiful prayer space! 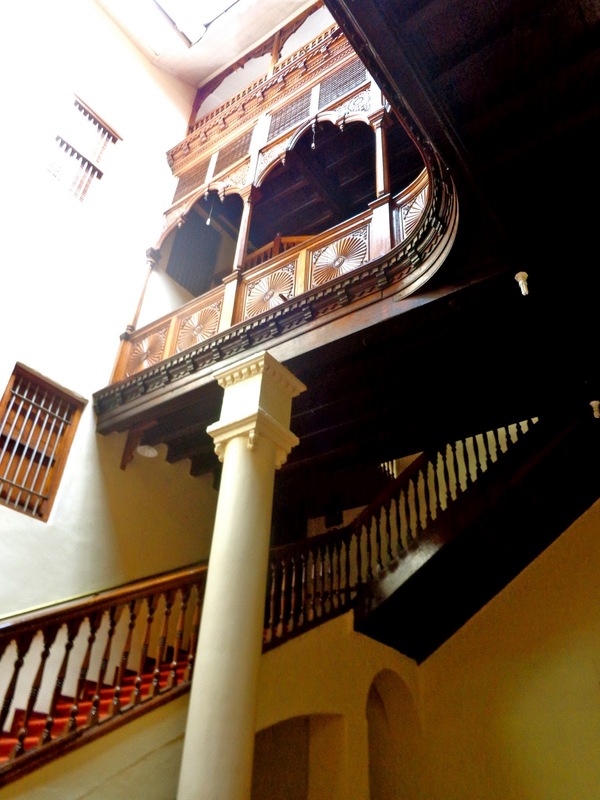 From one of the balconies, he pointed out the various places of worship surrounding the Jamat Khane. There were two Sunni Mosques, a Bohora Mosque, a Hindu Temple, an Ishnashri Mosque, and a Christian Church, all around the perimeter of the khane. It really is so inspiring to see so many faiths living harmoniously with one another. After our tour, I signed the guest book, and asked about this famous local restaurant, which is essentially a "hole-in-the-wall" place. Tazim Aunty, a friend from our congregation back home, had recommended I try it out before leaving Zanzibar, and she said it was near khane. The Jamat Bhai led me through the winding streets, and we literally stopped at a cut-out door in a concrete wall. Inside were more bare concrete walls and floor, and a lady sitting by a giant frying pan. Beside her was a small table with her supplies, and across from her was a small concrete bench, with two other ladies sitting down eating their lunch. 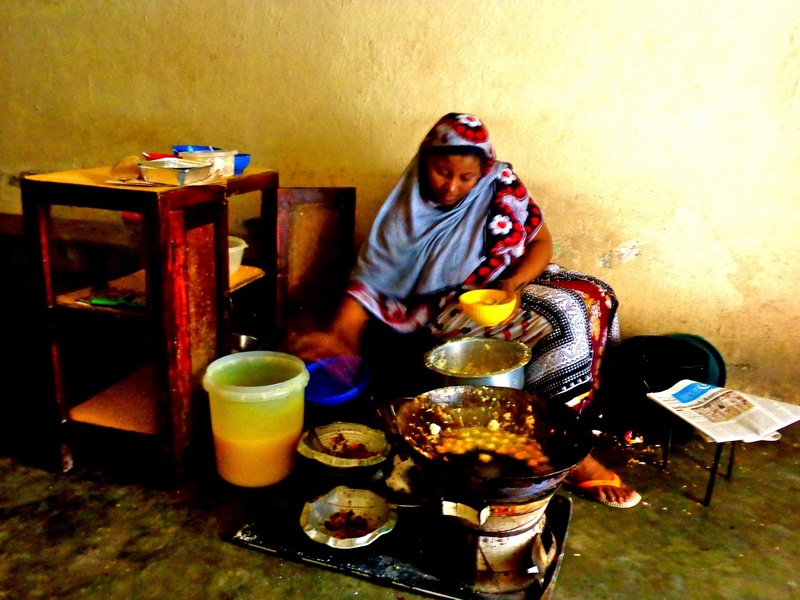 The Jamat Bhai ordered for me, and I watched her prepare my meal. She fried fresh "bhajias" in the pan, and then added potatoes, some other squishy vegetable, and a lot of sauces and spices, before handing it to me in a pink plastic bowl. She asked the Jamat Bhai if I liked spices, and of course I wanted to experience the real deal, so I nodded yes and regretted it a few minutes later! Although my mouth was on fire, the dish was amazing! It's true when they say the most run-down, simple food places are often the absolute best, most delicious finds! I still had some time before I had to meet Jamie back at the hotel, so I sat down in Forodhani Park and just enjoyed the fresh air, the sea breeze, and the gorgeous gardens surrounding me. 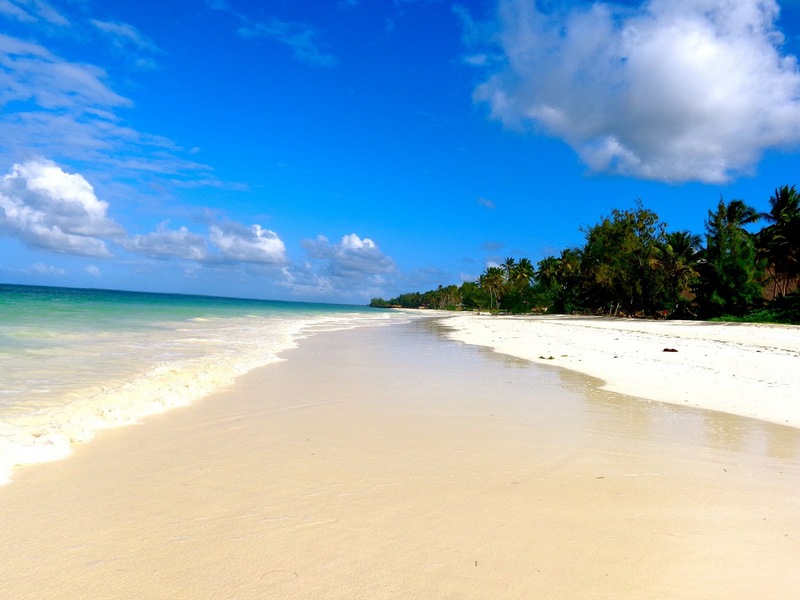 I wrote in my notebook until my pen ran out of ink, and then made my way back to the hotel, after which we left for a beach resort on the East Coast of Zanzibar! I got quite a lot of Physics work done in the afternoon, and met up with Jamie for dinner, which featured a traditional Swahili buffet. 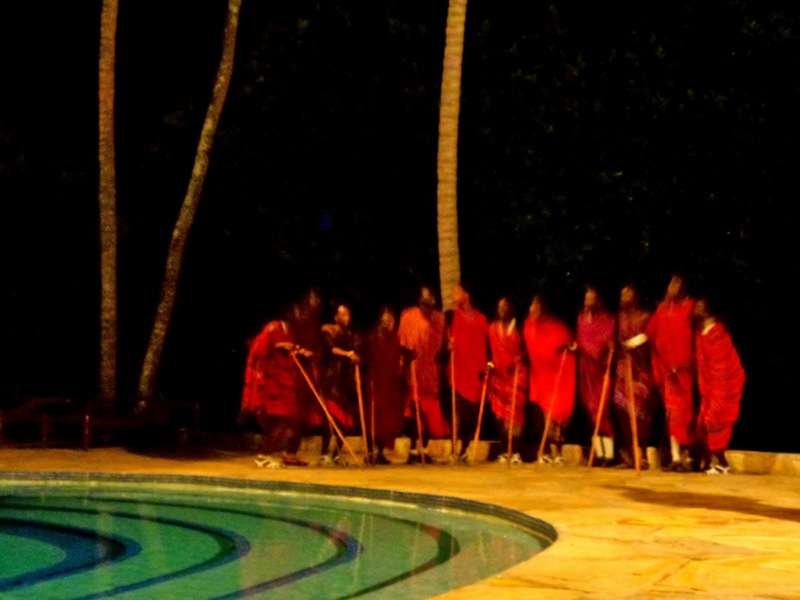 After dinner, we enjoyed a poolside Masai show, and I dozed off in my recliner to the sound of the waterfall. The next morning, I completed another Physics lecture and quiz, before allowing myself to go to the beach, which is about a ten minute drive away. The resort seemed really empty, so I figured the beach would be packed, and Jamie returned saying he enjoyed his hour at the beach, so I got ready and took the shuttle. I was the only one in the shuttle, and the driver was quite talkative, asking me about my "love life" and giving me advice when I said I was not yet married at the age of 22 and still do not have kids. I've become quite used to these conversations now, but he was especially shocked and told me that I need to get married very soon. We then turned into a small village with tiny houses lined up against one another, and lots of mothers and children sitting outside on the dirt. Now I generally trust people very easily, and I like to see the best in people, but I'm not going to lie: for a split second, I thought the driver was kidnapping me and about to drop me off in this ultra-poor village to be his wife. I'm ashamed now to have had that thought run through my mind, but it's something to laugh about I suppose! The village detour turned out to be a roundabout way of getting to the beach, which was private for our resort and quite secluded. He dropped me off just as the sun was coming out, and I was greeted by the bartender, who led me down the path to the beach, which was a two minute walk from the bar. 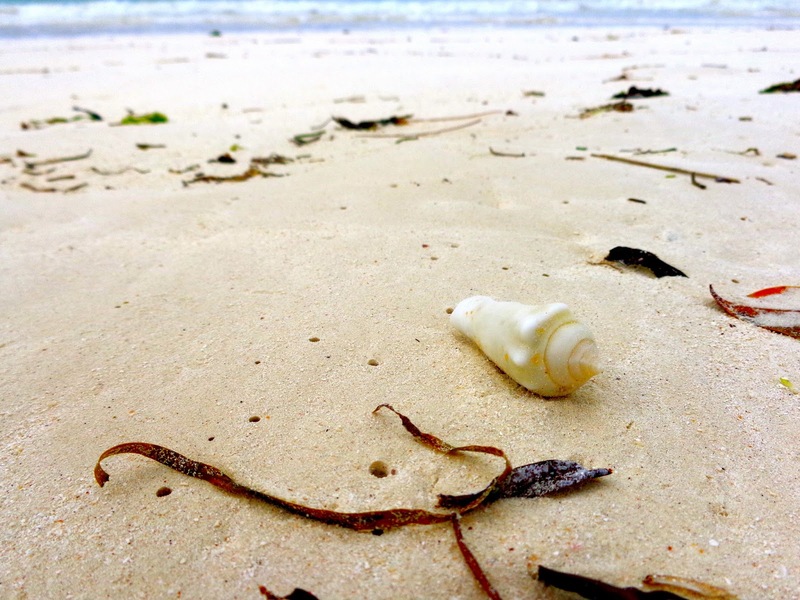 My jaw dropped for the umpteenth time on the trip: the beach was completely empty! And I mean completely empty: there was not a soul in sight for as many miles as my eyes could see! 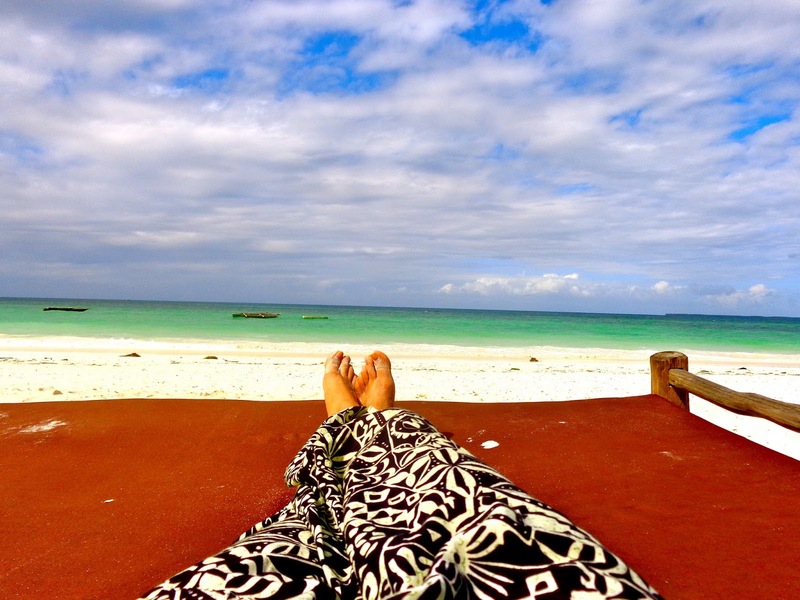 I realized how rare of an opportunity this was, and after taking a few pictures with a huge smile on my face, still in disbelief, I lay down on a beach bed and let the sun soak into my skin. 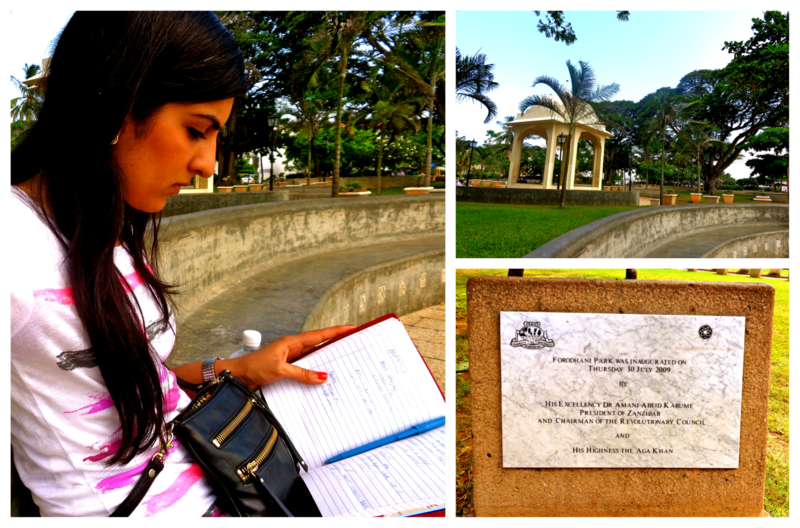 It was the most beautiful state of solitude, and quite the serene afternoon. I spent some time up at the bar chatting with the bartender, and got to try a delicious soft drink similar to a Fanta Fiesta (the purple one) but this brand was called Mirinda. It tasted just like a soda we used to get when we were kids, called Portello! It brought back good memories, and made my afternoon even better than I thought it could get! After a couple of hours, new guests to the resort started showing up, but the beach still had enough space for us all. I took the shuttle back, and on my mom's recommendation after reading raving reviews on trip advisor, I got a massage! Honestly, the entire day was just so lovely. I felt so relaxed and at peace after my full body massage, that I agreed to get a henna tattoo when the lady asked me after my massage. Even though we decorate our hands with henna back home for special occasions, I wanted to support this lady's side business, and got a gorgeous flower on my wrist. Their henna here is black, so it looked like a real tattoo! I felt a tiny pang of regret, as it looks so real and I will be meeting many people in Nairobi over the next week, which might give them the wrong impression, but thankfully it's easy to hide under my watch strap. After freshening up and meeting up with Jamie for dinner once again, I went to the African Goma show. 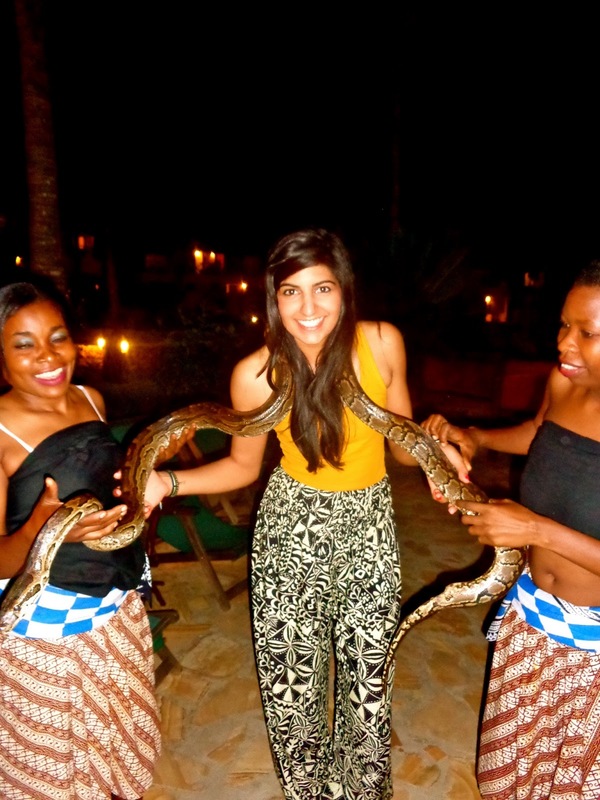 It was a wonderful display of music and traditional dancing, and at one point, they released a huge snake onto the deck! They had taken my and a few other ladies' hands, and had us standing up before we knew there was a snake to come out, so when they started taking the snake around to each of us, most people were quite frightened and ran away. A couple men stood up to display their bravery and hold the snake, and when it came around to me, I was terrified, but realized I probably wouldn't have a chance to hold such a huge reptile anytime in the near future, so I took a deep breath, held out my hands, and had it hissing around my neck! It was so strong, and had quite the tight grip, but its leathery skin was surprisingly super soft. After the show, I made my way to the reception area, where the internet connection was. I FaceTimed with my parents and gave my mom a good scare for about three seconds when I showed her my tattoo! If only I was a better liar, and didn't burst out laughing so soon, I might've gotten away with spooking my dad when he came to the screen as well! Nevertheless, it was so nice catching up with them, and sharing stories from the wonderful day. After I finished my call, I was called over to the lounge area of the reception, where about ten Masai men were on duty as security and entertainers. I had a lot of fun playing table tennis with a few of them, and then chatting with them, Jamie, and a couple of Belgian tourists we met during the day. After a ton of interesting stories were shared about our lives in the different societies we live in, we all said our goodbyes and called it a night. I went to bed super relaxed, and excited to be flying onwards to my next adventure in Nairobi the following morning!